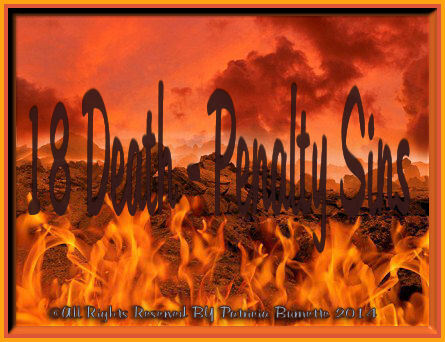 "18 Death - Penalty Sins"
Welcome to "18 Death - Penalty Sins"
In Leviticus it let's us know what the penalties we receive if we commit certain sins, if we don't repent. I have included them along with and where to find the whole scriptures. I am in hopes that this will help clarify some wonders about what sins can carry you to hell and experience the pain one can experience if they commit these sins, among others.